Let’s use /opt/QtSDK as the installation directory. However, I could run the harmattan-postinstall.sh from the command line without errors so I just selected Ignore and the installation finished successfully. When the installer is run with sudo some folders are created under $HOME/.config and $HOME/.local that are owned by root and will generate “permission denied” errors. 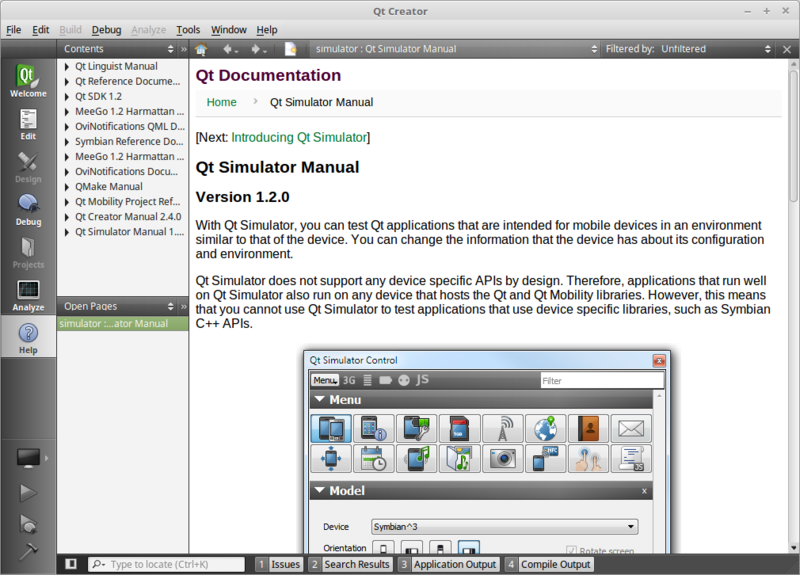 So before invoking QtCreator the ownership should be fixed.. There are some libraries that rely on libjpeg62 that is not available by default. So let’s install the required version. However, all the help files (.pch) are in the installation folder (/opt/QtSdk/Documentation in my case) so I can add them by clicking the Add… button. Now if I select Help>Contents I can browse the documentation. I solved this issue simply by fetching the gdb sources and recompiling. The source code repositories can be enabled by selecting “Software Sources” from the Administration menu and then checking “Enable source code repositories”. I will install gdb under /opt/gdb. As a final step I will replace the original gdb with a symbolic link to the new one. After this the gdb should show python v2. One additional change will be required to allow access to ptrace. Edit /etc/sysctl.d/10-ptrace.conf and set kernel.yama.ptrace_scope = 0. Now the debugger should work as before. 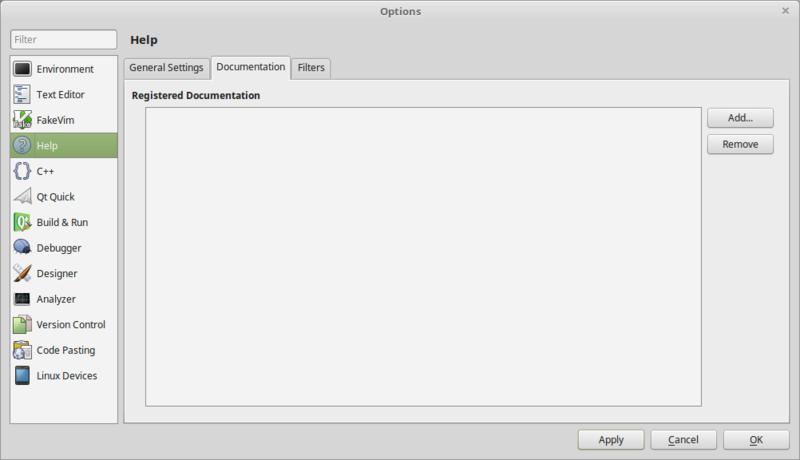 If you need git support in QtCreator you should install version 1.8.3 (by default v2.7.4 will be installed). You can download the source code package (git-1.8.3.4.tar.xz) from https://mirrors.edge.kernel.org/pub/software/scm/git/. You may also want to edit /etc/environment to add the installation folder (e.g. /opt/bin) to the default path.